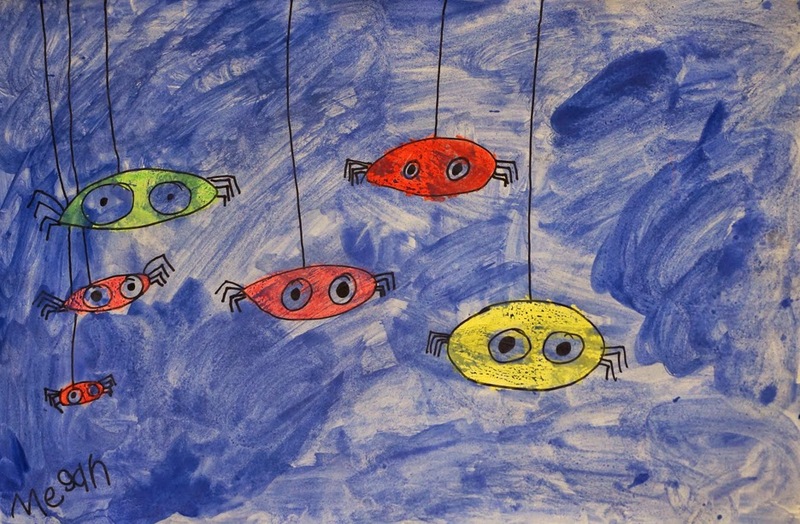 This was another Halloween-inspired project that I used to reinforce the idea of creating drawing by using simple shapes and lines. 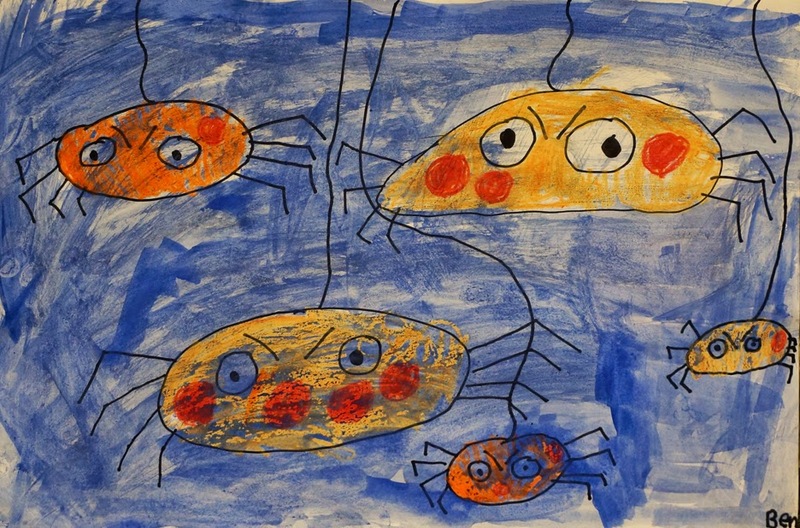 In this case, the kinders drew ovals for their spiders' bodies, crooked lines (four on each side ideally) for legs, circles for eyes, and straight or curvy lines for silk to dangle into the picture. 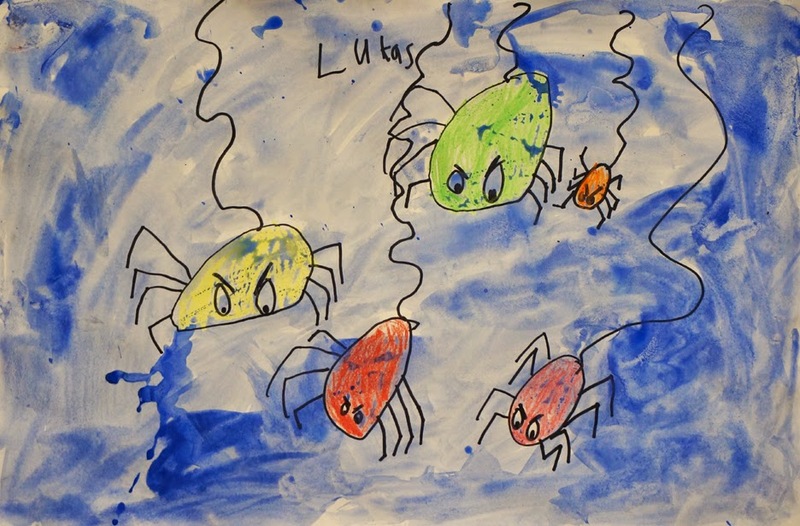 We then colored our spider bodies with construction paper crayons, which did a better job of resisting paint than regular crayons but allowed for more precision coloring than oil pastels. 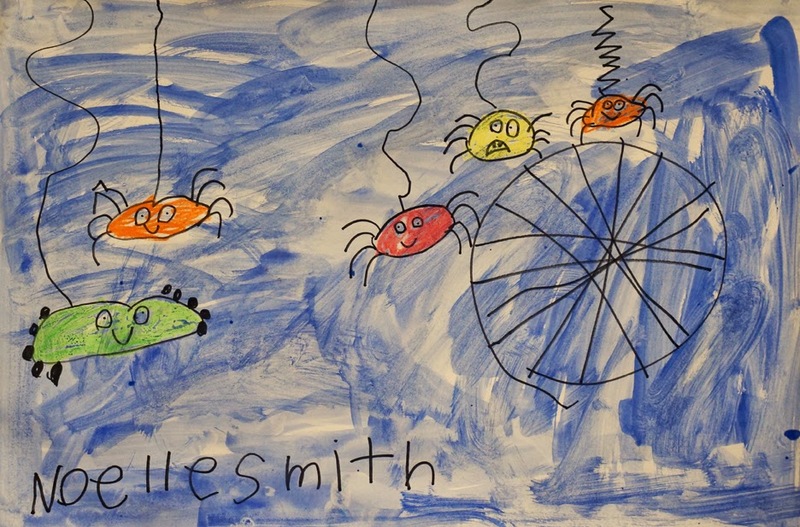 The students created their dark backgrounds with blue tempura block paint and were encouraged to paint right over their spiders to witness the resist affect of the crayon. 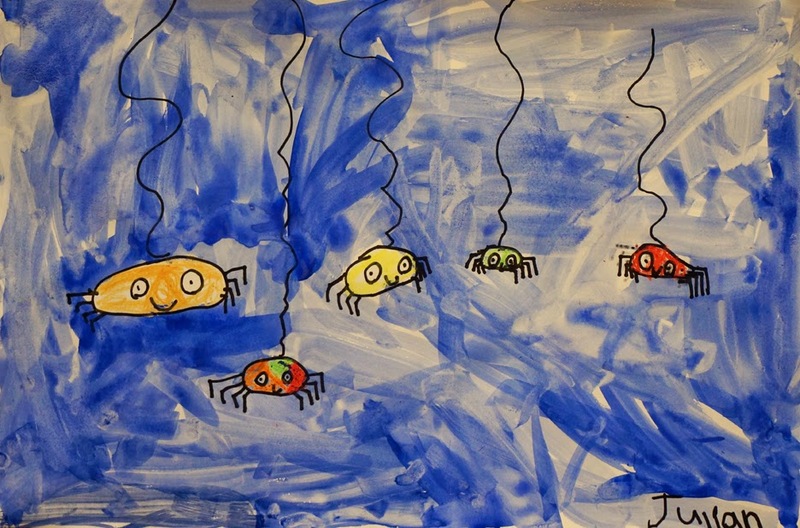 I think the results are awful cute.